A second tea that I got from my last Tea Runners box was Creme de la Berry Green, which actually comes from Simpson & Vail from whom I have recently purchased tea. 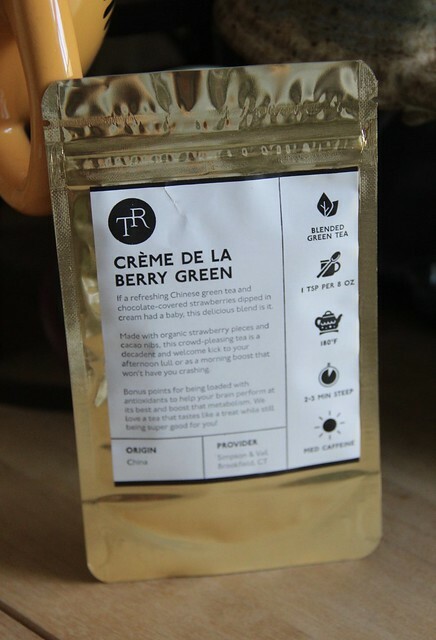 From the website, Creme de la Berry Green contains green tea, organic cacao nibs, flavoring and strawberry fruit pieces. It’s available in a variety of sizes: 2oz for $4.15, 4oz for $7.20, 8oz for $13.20, or 1lb for $26.40. When I opened the package, the first thing I could smell were the strawberries; it was like they were sweet and tart and fresh in the package. The tea itself was light without a grassy taste, and the strawberry flavor really came through. I didn’t get as much of the chocolate taste, but I was so delighted with the strawberry flavor that I don’t care. I can’t wait to try this one iced as summer rolls around! Previous The Corner of Knit & Tea: Episode 133, All green, all the time. 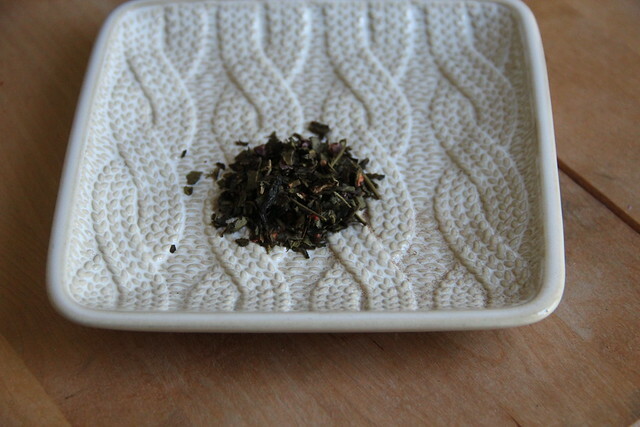 Next The Corner of Knit & Tea: Episode 134, Wood Sorrel.